The distinct shape languages of these four space ships offered tension or nostalgia in pushing sci-fi in new directions. It wasn’t easy coming up with fresh space ships for the rebooted “Star Trek Discovery” and “Lost in Space,” or the “Star Trek” riffs on “USS Callister” (“Black Mirror”) and Seth MacFarlane’s “The Orville.” After all, there’s cultural significance and legacy and immense pressure in creating what amounts to homes and playgrounds and battle arenas, with distinct shape languages that help define the looks of their shows. 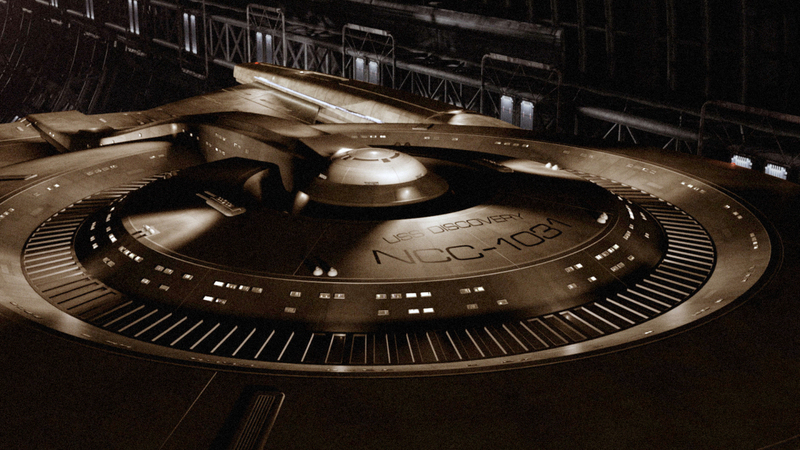 “Star Trek Discovery” co-creator Bryan Fuller (a writer on “Voyager” and “Deep Space Nine”) wanted a larger more angular ship that embodied the darker, more conspiratorial narrative of the reboot, which revolves around the Klingon war. 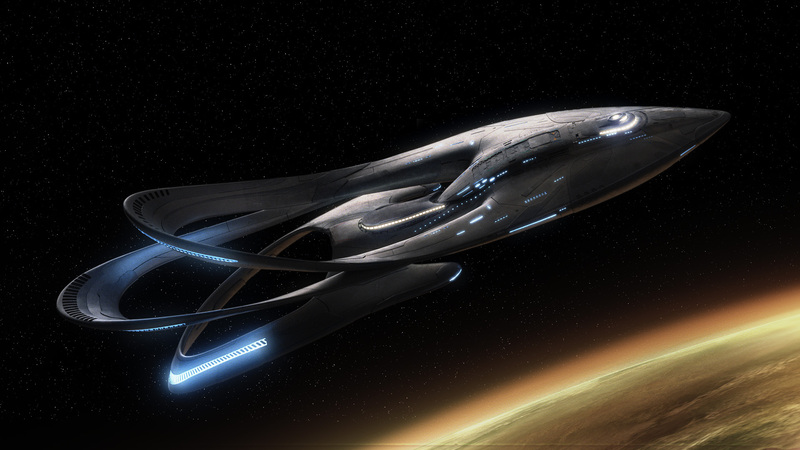 They were initially inspired by an unused Ralph McQuarrie design for the Enterprise from the un-produced feature, “Star Trek: Planet of the Titans,” His designs were based on concepts created by James Bond designer Ken Adam to contain a sports car-like vessel with a flattened secondary hull. 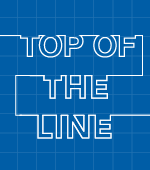 What they ended up with was a thinner delta shape with the engineering section below, overseen by production designers Mark Worthingon and Todd Cherniawsky. “And for the break, we have two discs, an outer ring and the inner, saucer section,” said Worthington. “It felt fresh and it became the visual expression of the new [spore] drive system. That saucer pivots whenever the drive system is engaged.” The interior was tangled and concentric, with the Bridge emphasizing the domed structure, containing a larger windshield viewing area. 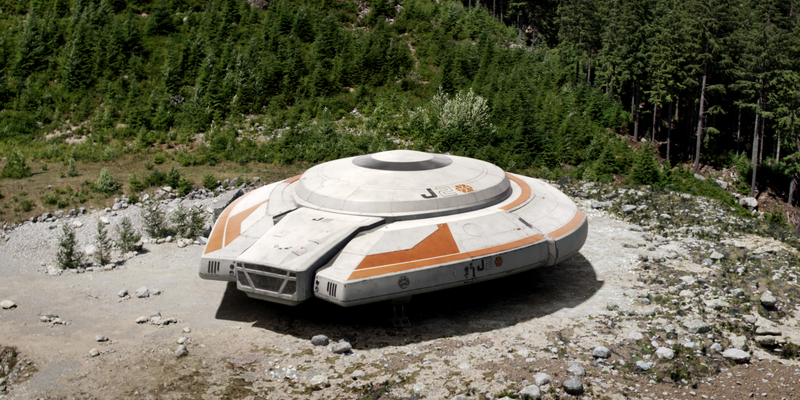 For re-imagining a version of the Robinson family in 2048, they went with a utilitarian, recreational vehicle, to help set them up on another planet as a home away from home. Ross Demptser, the production designer, referenced the latest NASA tech and avoided any gaming influences. The interior was literally like a mobile home with a central hub for eating and interacting and a circular hallway suitable for walking and talking and options for camera blocking. Ironically, though, Demptser stumbled on a ribbed paneling texture that he liked, which he later realized was similar to the same design on the original series. 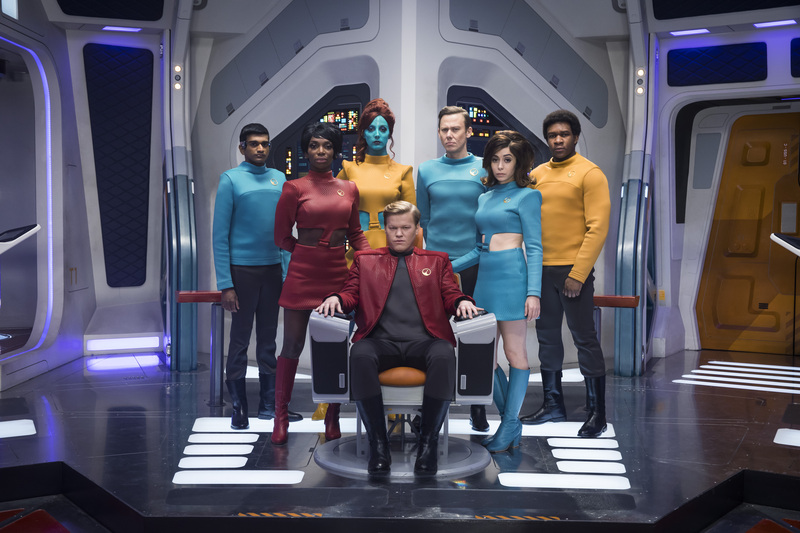 For “Black Mirror’s” fourth season opener, in which Jesse Plemons’ maniacal programmer traps his boss and coworkers in a “Star Trek”-like space adventure within his multi-player game, director Toby Haynes wanted a sting ray shape for the ship. That would solve the problem of not imitating the Enterprise, but the designers also didn’t want to look too much like the ’60s British “Stingray” series from “Thunderbirds” creators Gerry and Sylvia Anderson. The interior of the Callister was tricky as well. They couldn’t start off too slick to sell the nostalgia, but they ended up creating an homage to how “Star Trek” has evolved from Gene Roddenberry to J.J. Abrams. It contained familiar tropes but with their own twist. For instance, the Bridge had a cool obsession with CRT screens, and Sims obsessed over the captain’s chair, which he Frankensteined together by combining one chair with the base of another with additional elements. This cost more than the recovery room. “But with subtle tweaks and cutaways, [we] discovered how bold we could be with colors and worked out lots of lighting opportunities with the sets,” added Sims. This came in handy for the wild escape finale in homage to Abrams’ lens flare aesthetic. “We turned it into this slick J.J. continuous imagery with high-tech controls at their disposal,” he said. MacFarlane’s sci-fi comedy-drama tried to instill a sense of hope and optimism for his washed up protagonist, who’s put in charge of a mid-level exploratory ship. “Seth said that he wanted an aspirational show with bright colors, unlike so much of what’s out there today, a future where problems were solved and people are fairly well-adjusted,” said production designer Stephen Lineweaver. This sense of uplift informed the ship’s design as well. MacFarlane wanted something beautiful and they came up with a curvaceous series of rings for the exterior. The team worked with more than two dozen different designers (including sci-fi specialists Ryan Church and “Star Trek” vet Andrew Kroeger). The expansive, two-story set took up an entire stage and you could move freely from room to room into a single take.